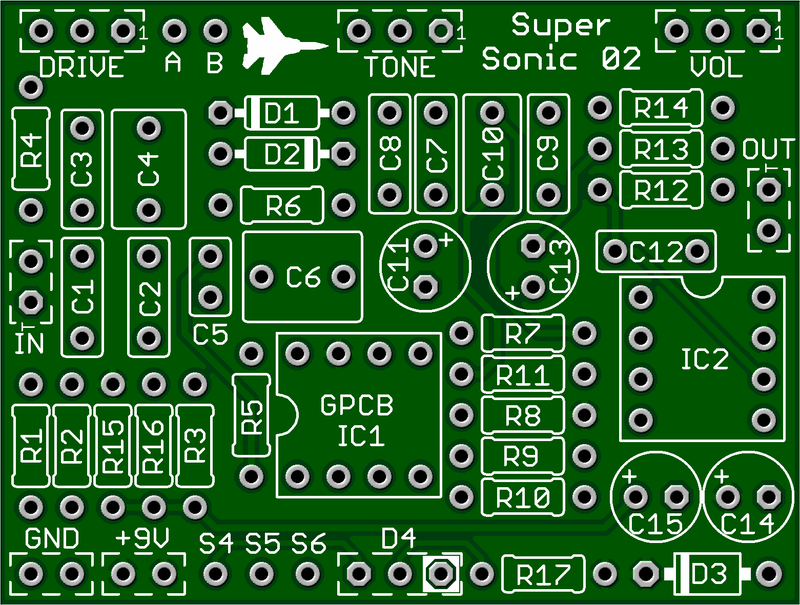 This kit includes all of the parts needed to build the GuitarPCB SuperSonic project. A Super Sonically fantastic recreation of an outrageously expensive British offering that will leave you smiling in the “pink”. Team it up with our famous G-02 Animal to make a familiar pair that even Sir David would love! Get the Super Sonic 02 and create your own tones! The sustain on this, especially when used with a delay, sounds fantastic! This kit includes a 125B enclosure Davies 1510-style knobs, as pictured above. All of our kits include a jack for a DC power adapter but no battery snap. If you wish to add a battery snap, please add a battery snap kit to your cart in addition to the pedal kit. Please see 'What is provided in a kit?' in our FAQ for more details of what is included and what you will need to provide to complete the project.